These are not just any pop bars from your grocer’s freezer. 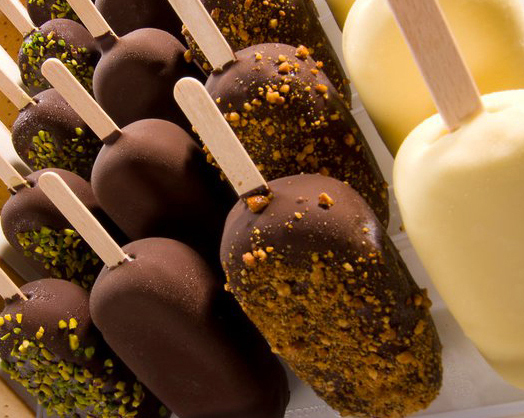 They are gourmet gelato or sorbetto pops, made by hand, and finished with creative coatings. Minimum order is one dozen.